Criminal Defense Attorneys handling felony and misdemeanor charges in Oakland County, Michigan. Aggressive, experienced and effective lawyers. We stand between the prosecution and our client’s freedom! If you are facing charges in Oakland County, you need a strong defense lawyer to fight to protect you. The judges and prosecutors in the Oakland County Circuit Court and the various district courts are notorious for being overzealous, tough and frequently unreasonable. When the judge, police and prosecutors have your fate in their hands, you need a hard-hitting advocate to help turn the tables. We are well respected and known throughout Oakland County and are frequently able to get extraordinary resolutions to cases that other lawyers are unable to obtain. There are many attorneys handling criminal cases in Oakland County, and making the right choice can seem daunting and confusing. LEWIS & DICKSTEIN, P.L.L.C. offers you your best hope for achieving the best possible resolution. 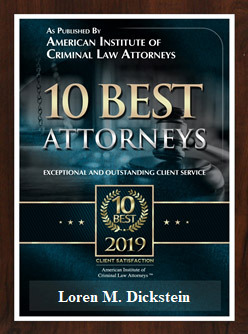 Where most high powered defense attorneys in Oakland County practice along with one or more less experienced attorneys, our firm is comprised of multiple defense attorneys who each have decades of experience winning felony and misdemeanor cases in Oakland County. Or team has a long and established track record of keeping clients out of jail even when the odds are stacked against them. The law firm of LEWIS & DICKSTEIN, P.L.LC. has a unique and highly effective strategy for defending clients. 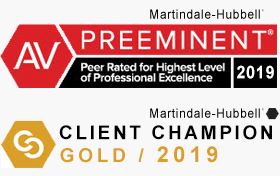 Instead of one lawyer handling a client’s case, we use an extremely powerful team approach with multiple, experienced, and successful defense lawyers collaborating to achieve the best possible result. We have the experience and expertise to win and an unparalleled track record of success in achieving extraordinary results. Don’t trust your fate to the lowest bidder when your future is at stake. We would be glad to meet you for a free consultation so that we can review your case and develop a strategy to resolve your case in the best possible way. Call us today at (248) 263-6800 or kindly complete a Request for Assistance Form and a highly experienced Oakland County Criminal Attorney will promptly contact you.